Tracey McGillivray’s Globe & Mail essay “My story is written on my bookshelves” got me thinking about my own bookshelves and the books which have followed me through much of my life. Her trip down the memory lane, instigated by a need to make room on overstuffed shelves, is probably something all booklovers can relate to. We have all these books. It’s one of the reasons I am not attracted to an eReader: I have all these books. And they come with a history that is intimately personal. at least 40 years old. 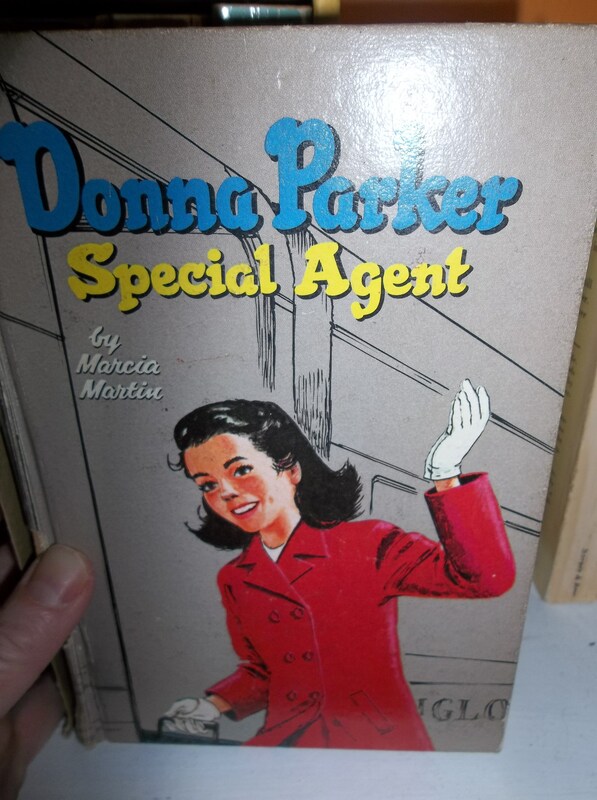 It currently lives on the bookshelves in my daughter’s room. She loves that book as much as I loved that book – which is to say, a whole lot. I always wanted to build the doll house – the instructions for which are included in the back. 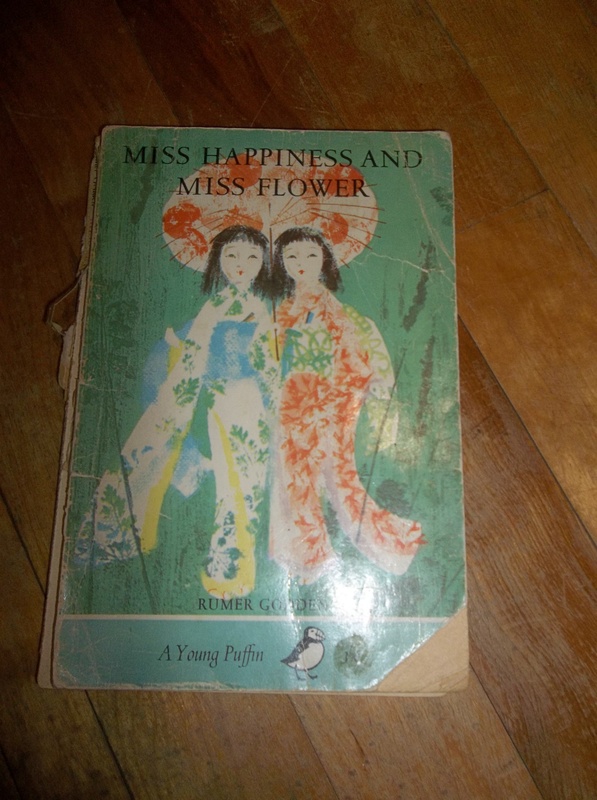 Looking at Miss Happiness and Miss Flower, started my own trip down book memory lane. 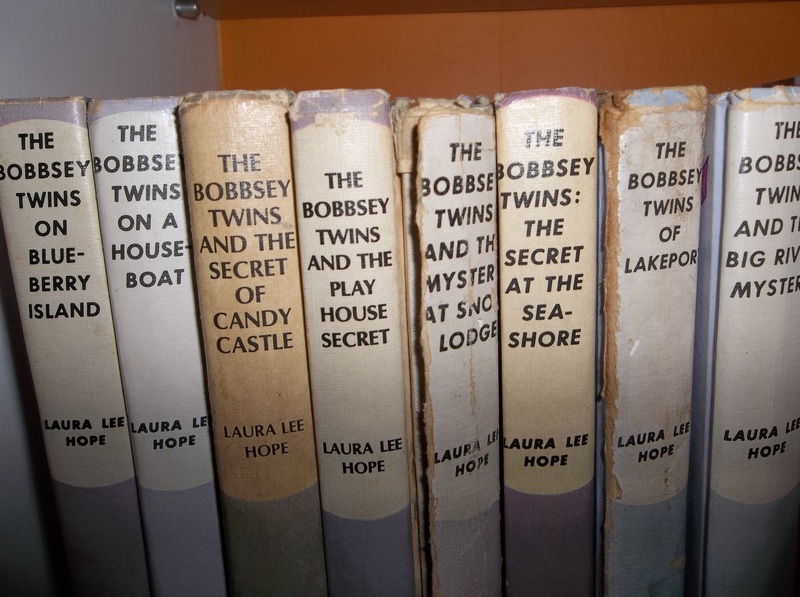 The Bobbsey Twins, Trixie Beldon and Donna Parker (but especially The Bobbsey Twins) were my constant companions when I was younger. All these books have been passed on to my daughter – but I don’t think she got as much enjoyment out of them as I did. The world has changed and I suppose by today’s standards, these girls (and boys) probably seem pretty tame. But I loved them and you couldn’t pay me money to part with them. Not that the books would actually be worth any money, considering the deplorable state some of them are in! 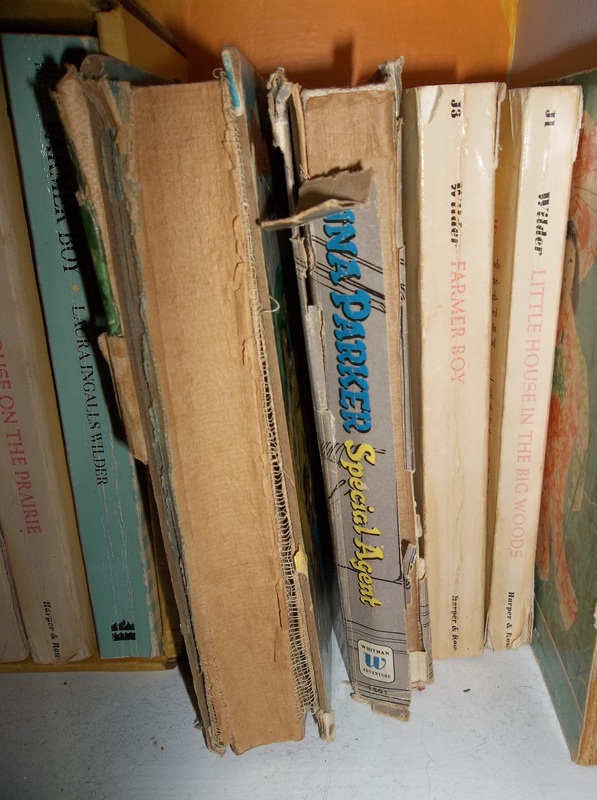 Some of the books are special only because they belonged to someone special. 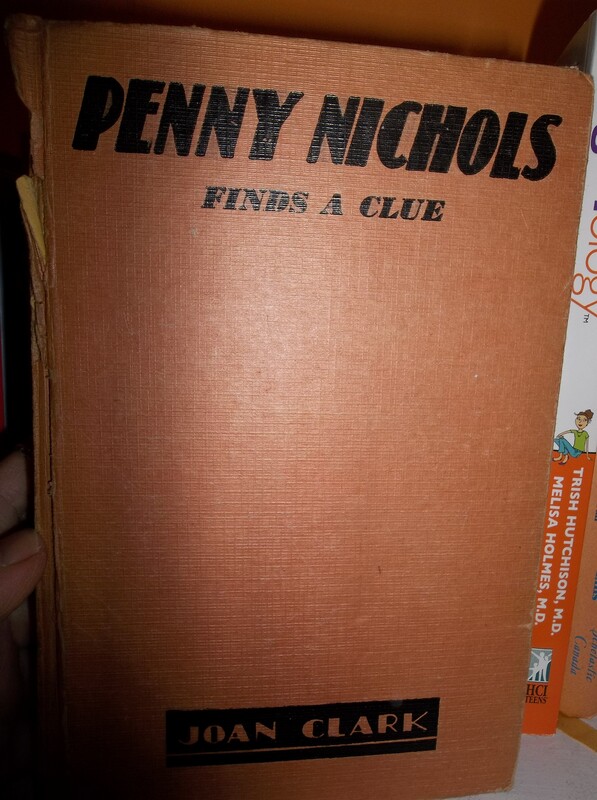 For example, I’ve never read this book – I am not even sure why I have it, but it belonged to my mom. 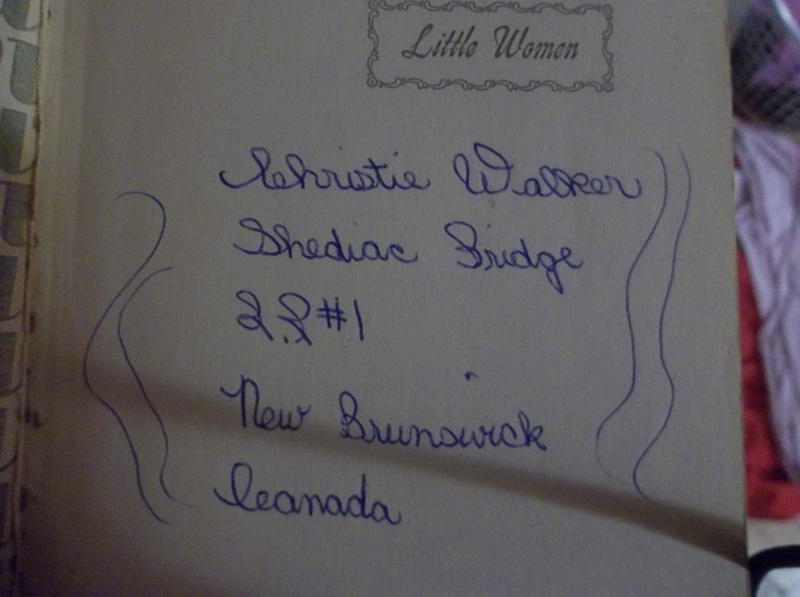 The handwriting isn’t hers; the date is 1939, the year she was born. 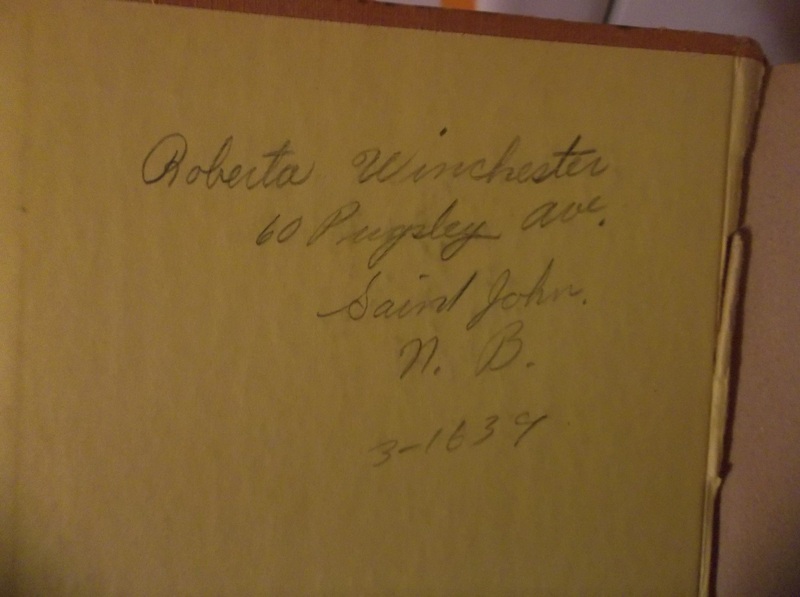 My mom was a reader; my father, too. 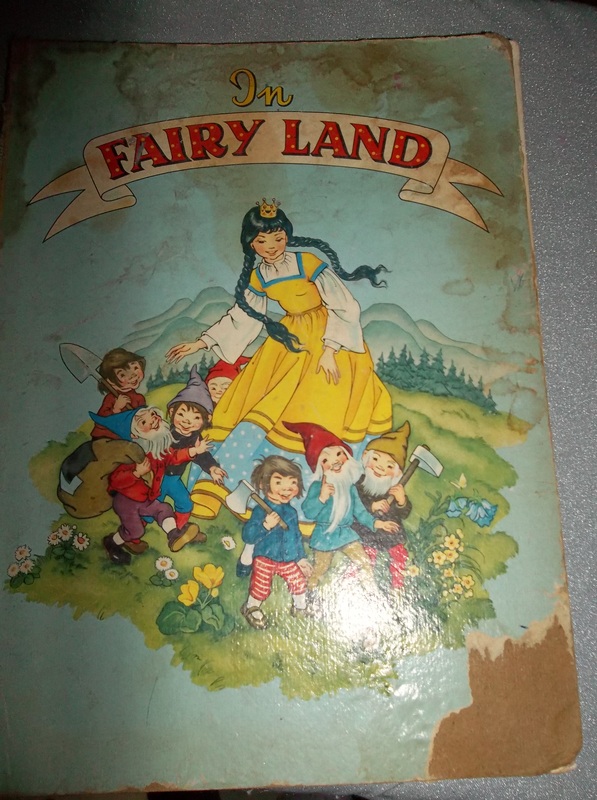 I only had to pick up this book – and it’s really in pieces- to be transported back to my childhood, sitting with my younger brothers as my mom read to us. 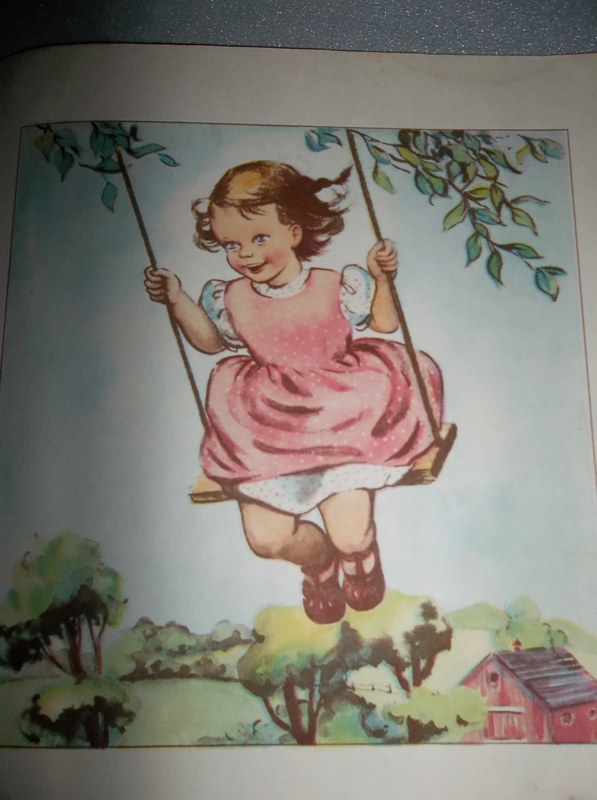 My mom was also a big fan of Robert Louis Stevenson’s A Child’s Garden of Verses. 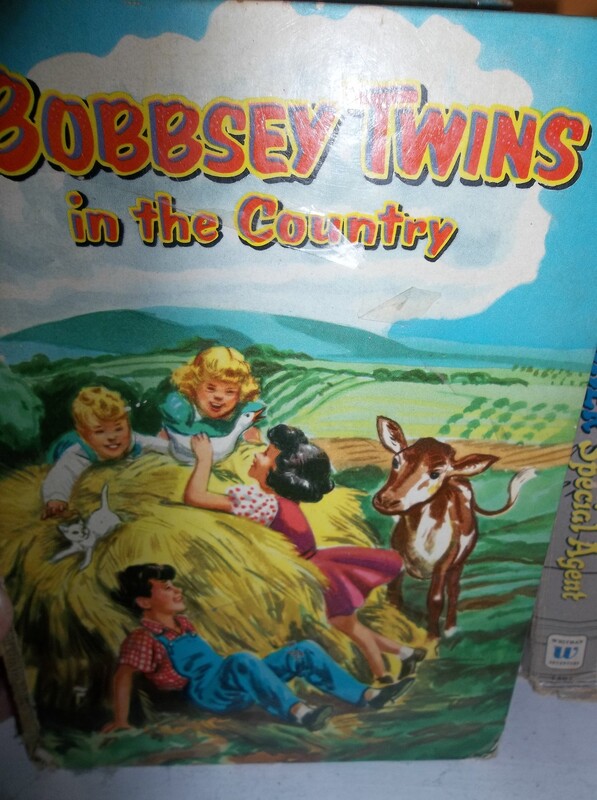 I don’t think this book is the one from my childhood. 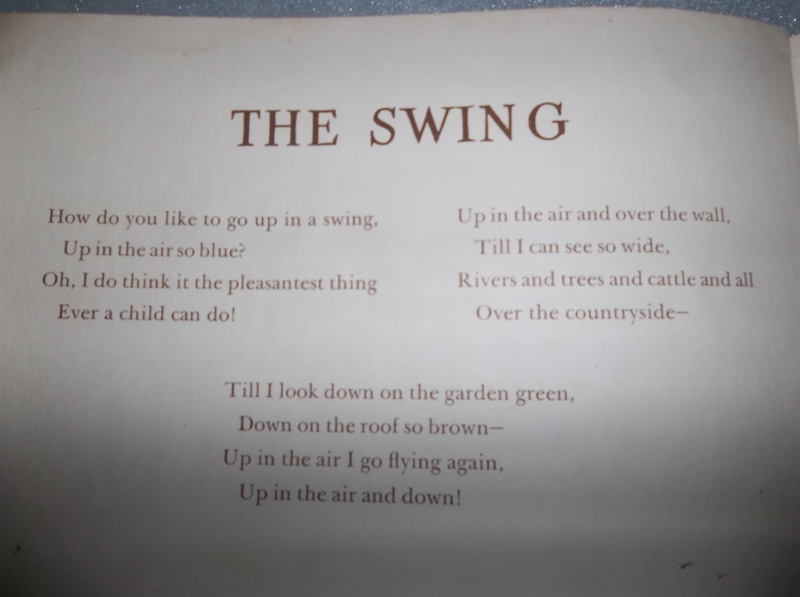 It could bethough but I can’t tell because it’s missing its cover – but “The Swing” makes me a little teary now. 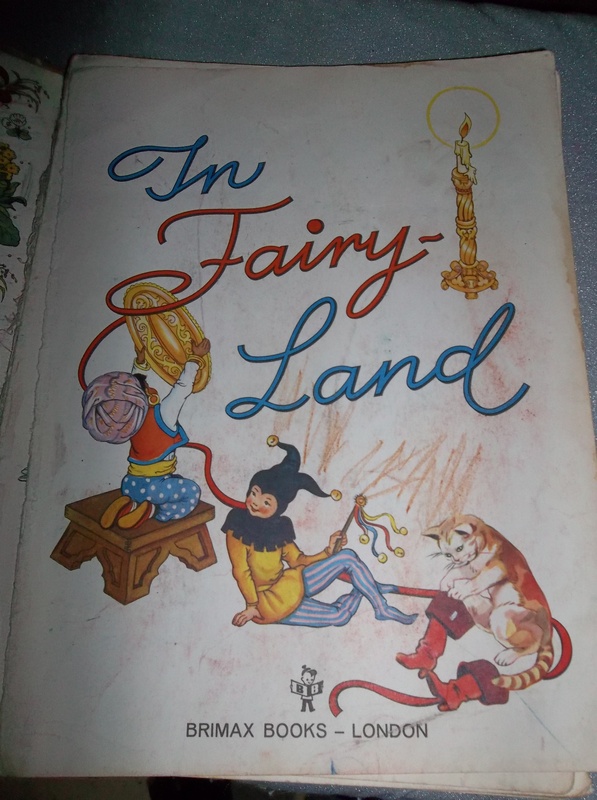 I don’t normally write in my books anymore – unless I am going to loan them…or they are in my classroom library. 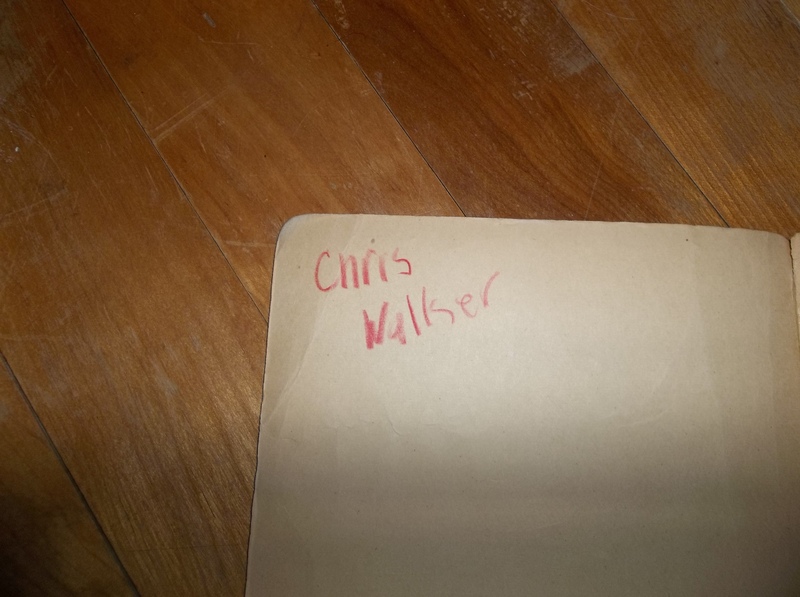 I clearly didn’t have a problem with it when I was a kid. 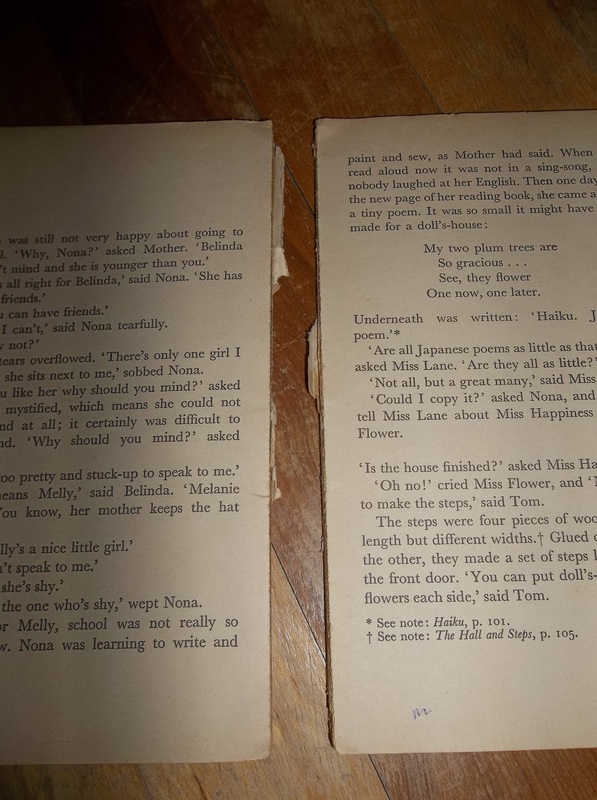 I wish I had taken better care of my books. 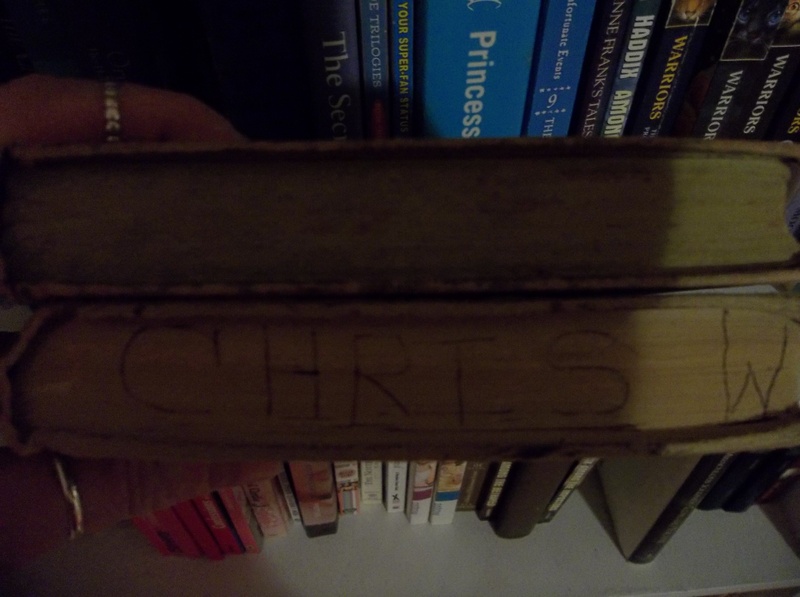 I wish I still had all my books, but we moved a lot and I suspect that my parents got tired of lugging them around. But the thing is, now, sitting here as I type this, I can look across the room at the beautiful shelves my brother built for me and I can see the spines of books that have entertained me, instructed me, boosted my morale, made me laugh or weep, comforted me in ways that I can’t really explain. And it’s not just the words – although it’s mostly that – it’s the physical space these books occupy, the weight and smell and presence of them. 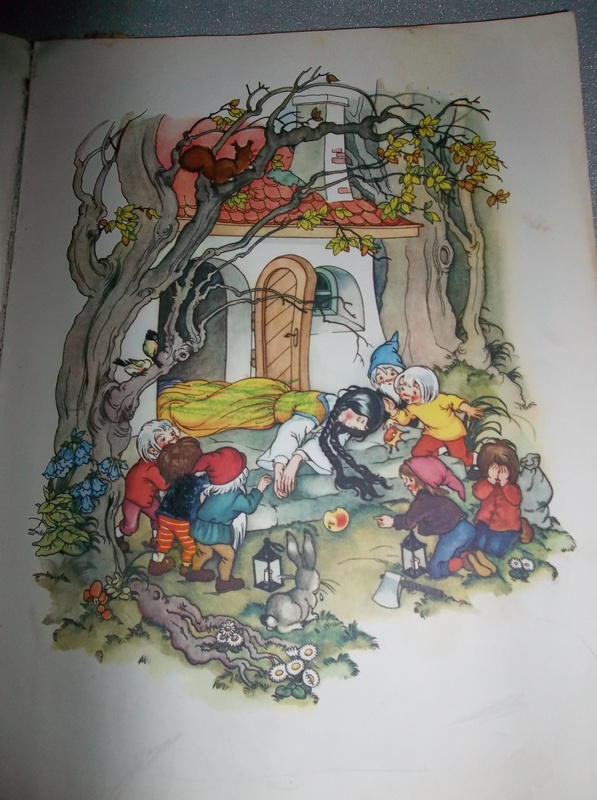 And I mean no disrespect, but a kobokindleereaderwhatever will never be able to take me down the book littered path of my childhood in the same way.